Dentists and Orthodontics have a funny schedule. They tend to be busier summer, since kids are out of school and more readily available to make it to their appointments. It’s a win for kids getting braces, because they have time before school starts to get used to wearing them. They also get busy in the beginning of the school year, as families scramble to get it all done, and utilize their insurance benefits effectively. So get onboard early, and start planning for your family’s orthodontic care now! If you have children that need orthodontic treatment, the sooner you get them scheduled for an appointment the better. 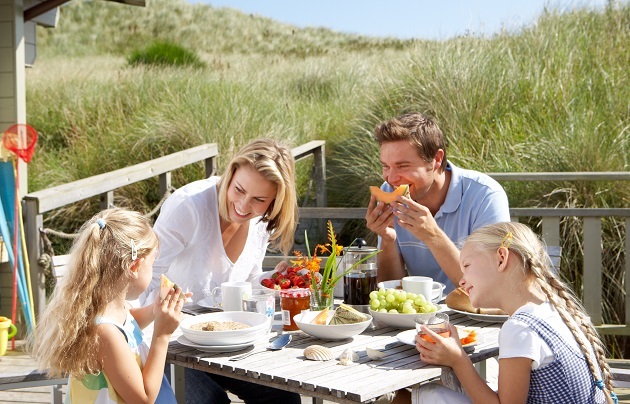 We understand that families lead hectic lives. There are so many responsibilities and challenges, and getting it all done sometimes seems like an impossible feat. One of best things about Jennifer Martin Orthodontics is their family focused philosophy. They treat a whole range of patients- from toddlers to elders! In fact, they are a multi-generational practice. Some of their patients have parents who received care there when they were kids! What this means for you, is a one stop shop for the whole family to receive expert, compassionate, and thorough orthodontic care! It is recommended that children see an orthodontist by the age of 7 for a check-up. Even if your child’s teeth look straight, there may be issues that are invisible to the eye. And when it comes to orthodontic care, the sooner you get started, the better. The longer you wait to address orthodontic issues, the more severe those issues may become. You will save time, money, and hassle by getting your child started with preventative care as soon as possible. More adults than ever are seeking out orthodontic care. Straight teeth aren’t just about aesthetics-they help to facilitate a healthy mouth, and therefore body in general. Straight teeth ensure a proper bite, meaning no unnecessary wear and tear to your teeth. Straight teeth also mean that your jaw is strong and healthy. Straightening and evening out your teeth now can ensure less problems as you age. With advancements in technology, as well as the introduction of Invisalign aligners, more adults can fit orthodontics into their busy lifestyles. Just because you’re not a kid anymore doesn’t mean you don’t deserve a beautiful smile! Jennifer Martin Orthodontics treats patients of all ages! Kids love the fact that their parents went to the same Orthodontist practice, and adults know that their kids are getting the best treatment-their own smiles are the irrefutable proof! If you or your kids are in need of friendly, helpful, family oriented orthodontic care, look no further! We have experts standing by to answer any questions you may have, whether they’re about treatment options or financial issues. We will work with you to ensure that you get the best care possible, while meeting your financial and time management needs. Give us a call today at (925) 676-8485! Our Pleasant Hill office serves patients from Walnut Creek to Martinez, and all of the surrounding communities. Spring is finally in the air, and there’s no better time to start perfecting your summertime smiles! Dr. Jennifer Martin, located in Pleasant Hill California, has built her practice on the foundation of family and community. Her Father originally opened the practice and she has turned it into a multi-generation legacy practice. They serve patients of all ages, and many of her current patients have parents who received care here years ago! If you’re looking at Invisalign treatment for yourself or a loved one, look no further than Jennifer Martin Orthodontics. You will find a warm and welcoming practice, with utter dedication to providing your whole family with beautiful smiles. There’s no exact time for your kids to start visiting the orthodontist, but age 7 is about the latest you want to go. Keep in mind that much of what happens to your teeth goes on below the surface. Just because your child’s teeth look straight and even doesn’t mean there aren’t hidden issues or potential problems down the line. When you start your kids with Orthodontics sooner, you can avoid more intensive and costly treatment in the future. That’s why it’s so important to have a professional Orthodontist examine and evaluate your children’s teeth-the earlier the better. It’s better for the whole family to avoid costly procedures-for the kid’s sake and your wallets! Teenagers are embracing Invisalign treatment more than ever. They are clear aligners, so you can have the benefit of effective orthodontic treatment without the use of chunky metal braces. In this day and age of selfies and social media, teens prefer the subtly of Invisalign over metal braces. Invisalign isn’t right for every teen. Some cases may be too complicated and require braces-that is something to be determined by you and your orthodontist. For teenagers who do use Invisalign, compliance is very important. The aligners only work when you wear them-up to 23 hours a day. They can be removed for eating and cleaning, a bonus, but the temptation to leave them out may be too strong for some. If your child is fairly disciplined, and determined to succeed in his or her treatment, Invisalign may be a great option. Kids and teens aren’t the only ones who can benefit from orthodontic care! Adult orthodontics is on the rise. With the advent of Invisalign aligners more adults than ever are seeking out orthodontic care-and not just for vanity purposes. When your teeth are straight and even, and in their proper alignment, the entire structure of your jaw works better. Crooked teeth can lead to more serious issues. When you chew food with crooked teeth, for example, there will be more wear and tear. This wear and tear can develop into cracks and breakages that will require much more intensive and costly treatment in the future. As you get older, your teeth start to shift around. Orthodontic treatment can ensure that any changes in the structure of your mouth is observed and properly remedied. A bright smile does a lot to slow down the aging process, and orthodontics is key to that great smile! Jennifer Martin Orthodontics is located in Pleasant Hill, and see people from all over the Bay Area, including Martinez and Walnut Creek. They serve patients of all ages, and will work with your family to see you all in the same visit! Schedule today at (925) 676-8485 and start perfecting your smile tomorrow! Orthodontics is an important aspect of your health. Your teeth don’t just affect your smile-a healthy set of teeth and gums goes a long ways towards ensuring the overall health of your entire body. Jennifer L. Martin, DDS, has committed her practice to improving the health and smiles of entire families. She took over the practice from her father years ago, and has created a successful legacy practice that works with patients of all ages. Her approach is welcoming and compassionate, and her clinical skills are second to none. Invisalign aligners are becoming more and more popular, as they are a great way to improve the position of your teeth without the use of chunky metal braces. They are a viable option for patients of all ages, including adults and children. Dr. Jennifer Martin is a certified Invisalign Provider, and has been working with Invisalign for years. No matter what the age of her patient, Dr. Martin thrives on seeing the transformations as Invisalign does its work, instilling confidence and pride in every smile that leaves her office. As your teeth move into their proper positions, you receive new aligners. Depending on your age, the difficulty of your case, and your compliance with wearing the aligners, you may change aligners as often as every week. This streamlines your orthodontic care so that it is faster and easier. Unlike metal braces, Invisalign is made from clear, smooth material. They adhere perfectly to your teeth, so you have less material to get used to when going about your daily routines. You can remove them in order to brush and floss, making it easier to keep your teeth clean and healthy while undergoing treatment. Invisalign aligners can treat a wide variety of orthodontic needs, including cross-bites, crowding, open-bites, gapped teeth, over bites, and under-bites. While Invisalign won’t work for every single case, their broad range of effectiveness is impressive, making them a favorite of Orthodontists and consumers alike. This makes Invisalign a wonderful option for professional working adults, as well as teenagers who prefer not to be walking around with a mouth full of metal! In most cases, the patient undergoing Invisalign treatment only needs to visit the office every 6 weeks! And because there are no brackets or elastics to contend with (such as with metal braces), there is less chance of breakages, or need for repair. Dr. Martin is a 2nd generation orthodontist-this office has been creating beautiful smiles for over 50 years! The patients here are never just a number in a chart, or a mouth to fix. The entire team at Jennifer Martin Orthodontists is focused on each patient as an individual to get to know. Everyone seeks out orthodontic care for different reasons. That’s why it’s so important to this team to really get to know their patients-to share in their triumphs and celebrate their achievements. No matter how much work you have done, the most beautiful smiles come from within. And Jennifer Martin Orthodontics strives daily to help every single patient find their brightest smile possible, from their teeth to their experiences. If you or someone you care for is in need of orthodontic care, please call our office today at (925) 676-8485. We are located in Pleasant Hill, and serve patients from Martinez, Walnut Creek, and all of the surrounding communities. Should I Let My Teenager get Invisalign? Ideally your child should see an orthodontist by age 7. Keep in mind that even if your child’s teeth look straight and even, there could be issues happening below the surface that only a trained orthodontist can see. Preventative orthodontic work can be done for people of all ages, from toddlers to adults. The common misperception is that orthodontic treatment is just for teenagers. That’s simply not true. However lots of teens do require orthodontics and you want your child to receive the best care possible. Invisalign is becoming more and more popular. They make orthodontic care easier for adults because they’re less conspicuous than braces and therefore not as awkward in social and professional situations. But are they right for your teen? Read on to learn more! Invisalign aligners, unlike braces, can be removed in order to brush and floss your teeth. This makes it easier for your teen to adhere to a routine of good oral hygiene. Invisalign aligners do need to be worn for up to 23 hours a day to reach their maximum effectiveness though, so it’s important to put them back in immediately after brushing and flossing! Invisalign aligners are clear, and less obvious to passerby than chunky metal braces. 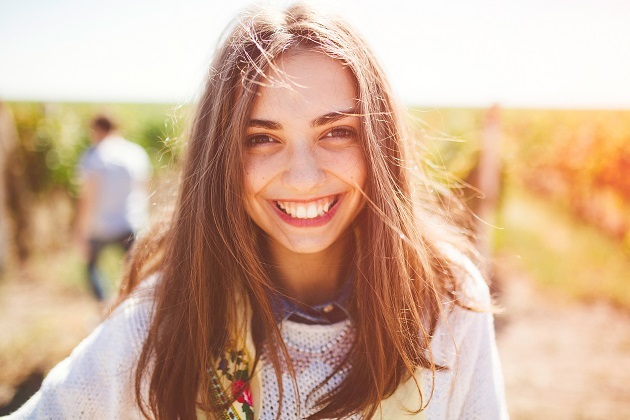 If your teenager is self-conscious about their appearance, and balking at the thought of wearing chunk metal braces then Invisalign may be the perfect treatment option. Invisalign aligners use slower and gentler movements than braces, so any pain or discomfort felt will be milder than that felt with braces. The pain felt with braces is pretty mild and usually short lived, but with Invisalign it’s even milder. If your teenager is particularly sensitive to, or concerned about pain or discomfort, than Invisalign may be the way to go. Braces consist of more hardware than Invisalign aligners. There are brackets and elastics to contend with, meaning more room for possible breakage. Those breakages mean more visits to the Orthodontist for repairs-no fun for teenager or parent. So if your teenager is physically active, plays in contacts sports at all, then Invisalign aligners may be a solution for minimizing breaking and appointment hassles. The number one thing to remember about Invisalign is that compliance is key. They need to be worn in order for them to work. They need to be worn almost constantly, up to 23 hours a day. So if your teen isn’t particularly disciplined Invisalign might not be the best option. If your teenager has a particularly complicated case, Invisalign might not be the best way to go. If he or she has a severe overbite for example, it might be necessary to uses braces instead because the movement of teeth is quicker and firmer. Invisalign aligners work best for teenagers who are disciplined and committed to completing their treatment in a timely and efficient manner, can follow the orthodontists instructions, and is willing to wear their aligners at all times regardless of the ability to take them out whenever they please. It’s important to note that most teenagers perform better than their parents expect with Invisalign treatment regimens. If your teen has a case where Invisalign would sufficiently suffice as a treatment, we will absolutely recommend it. What’s best for My Teen? If your teenager is in need of orthodontic treatment, and you have questions, please give us a call! We are a family oriented practice, and we treat patients of all ages. We understand that treating your teenager at this in between stage of development can be difficult, so we are here to help. Don’t wait another minute to get your teenager on the road to a lifelong healthy smile!